Biocide Products Global Compliance Strategy (1) - China, Korea, EU & USA. The demand for biocides and disinfecting products has increased tremendously in many global markets such as China, Korea, Europe and the United States bringing with it lucrative business opportunities for global companies within the biocides industry. However, in order to ensure the safety of biocides and disinfecting products placed on the market, governments in different nations have enacted stringent supervisory systems to assess the safety and efficacy of these products. 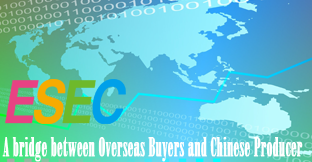 Prominent examples include China’s Disinfectant Regulations, Korea’s K-REACH, EU Biocidal Products Regulation (BPR), and the U.S. Federal Insecticide, Fungicide, Rodenticide Act (FIFRA) which all impose stringent compliance requirements for biocide companies looking to export products to these markets. In order to provide companies with comprehensive regulatory compliance advice and market access strategies REACH24H Consulting Group will hold a free webinar on September 23, 2015 dealing with global biocides compliance solutions. The webinar will include a comprehensive analysis of current biocide regulatory frameworks as well as practical case studies covering a walkthrough of regulatory compliance strategies under the biocides regulations of the world’s four key markets: China, Korea, EU and USA. Ms. Zhang graduated from the University of Alberta, Canada attaining a Master’s degree in Chemistry. Ms. Zhang has extensive research experience in chemical assessments, toxicology and data gap analyses. Her technical expertise is focused on global biocides regulatory compliance especially for China disinfectant compliance and EU BPR registration. Mr. Zhou has a Master’s degree in Chemistry from Zhejiang University and has extensive hands-on experience in data gap analysis, project management, exposure scenario development etc. He specializes in K-REACH and TCCA research and also has extensive experience in conducing regulatory compliance projects under K- REACH, China REACH and EU REACH. Ms. Shen graduated with a Master’s degree from Zhejiang University and since then has dedicated herself to global biocides regulatory compliance analysis. She is a core member of the REACH24h technical team focusing on EU BPR and China disinfectants regulatory compliance and has rich experience in efficacy testing, human toxicology and research in global biocides compliance strategies.